A space for everyone to collaborate, test ideas and discover new perspectives on life, through art. ​Thomas Tallis School is proud to be one of the Tate Exchange Founding Associates. The new Switch House at Tate Modern devotes a whole floor to a new experiment in audience engagement called Tate Exchange. As an Associate, we are responsible for planning and delivering 2 projects in this space, reflecting our commitment to learning through art. Over recent years we have developed a close relationship with colleagues at Tate which has had a direct impact on the quality of art education we can offer our students. Our Tate Exchange projects will help us further refine our thinking about art education and give us an opportunity to share what we have learned with a range of visitors, including members of the public. The theme of last year's programming was, not surprisingly, 'Exchange'. This year it's 'Production'. We will be directly involved in Tate Exchange for three years. What if all trips were just about the journey and not the destination? This year we continue to explore the kinds of journeys artists make through ideas and re-map Tate Modern. Last year, we used a variety of contemporary art strategies to re-map Tate Modern, building a huge sensory map and culminating in a thicket of shared experiences that filled the Tate Exchange floor. Working alongside teams of young people with ASD from four Greenwich schools, we continue their research this year on the themes of navigation, movement and the ‘journey.’ How can we think about traveling safely and independently? How do we feel when we don’t know the destination? How can a focus on the way we move help us deal with anxiety? What kinds of journeys do artists make through ideas? ​We encourage special guests and visitors to Tate to wander up to Tate Exchange to contribute to these meanderings. Our collaboration with St. Peter's School in Bournemouth, under the PhotoPedagogy banner, will continue this year with a two day professional Development event for photography teachers during the Spring half term. These two days of practice based activity follow on from last year's successful event where we attempted to create a speculative photography classroom at Tate? This year we want to ask some important questions. What makes a gallery visit memorable? How might the journey to, from and within the gallery ‘move’ students and teachers emotionally, physically, spiritually, politically, or otherwise? We plan to immerse colleagues in photographic practice to explore the impact of journeying on our senses and experiences. Colleagues will develop their own photography practice with the support of artists Tereza Červeňová and Danny Treacy, embracing a spirit of experimentation and play. Organised by PhotoPedagogy in collaboration with The Photographers’ Gallery and Autograph ABP, participants will experience two days of provocative and stimulating practice-based activities.  To find out more about Thomas Tallis School's involvement in Tate Exchange, contact Jon Nicholls, Director of Arts & Creativity.